Uniworld Boutique River Cruise Collection has won numerous awards such as Favorite River Cruise Line, Top River Ships, Best in Cruise Ships-River Cruising and Best Onboard Dining (River Cruise). 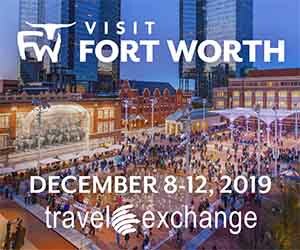 Norwegian Cruise Line has earned top accolades from Travel + Leisure, World Travel Awards, Condé Nast Traveller, Cruise Critic, Family Circle, Travel Weekly and many others. The American Queen Steamboat Company is home to the largest steamboat ever built, the American Queen. The New Orleans Steamboat Company operates the last authentic steamboat on the Mississippi River. Hornblower Cruises & Events owns the three largest dining yachts on the West Coast. The M.S. Dixie II (Lake Tahoe Cruises) was voted Best Cruise in Nevada by Nevada Magazine. Showboat Brandon Belle voted Best Dinner Show in Branson. Stan Stephens Glacier & Wildlife Cruises has received multiple awards over the past 40-plus years including a Letter of Recognition from the Governor of Alaska. Boston Harbor Cruises is the nation’s largest private operator of passenger vessels, which carries over 2 million passengers each year. SpiritLine Cruises has hosted 12 million passengers on more than 100,000 Charleston, South Carolina, boat tours and events over a span of 50-plus years. Blue and Gold Fleet in San Francisco transports more than 2.5 million passengers each year. Shoreline Sightseeing’s fleet is Chicago’s largest with 11 major touring vessels and eight water taxis. Entertainment Cruises is the nation’s largest dining cruise company. Dave Hansen Whitewater & Scenic River Trips voted Best Outfitter in Jackson Hole, Wyoming, two years in a row. Mad River Boat Trips has played host to Hollywood film crews for feature films and shows such as “A River Runs Through It,” “The Mountain Men,” CBS movie “Killing at Hell’s Gate” as well as for TV commercials, which include Mountain Dew, Old Milwaukee, Toyota and American Express. Gananoque Boat Line, Maid of the Mist, Phillips Cruises & Tours, and Waterways Cruises and Events are among NTA’s cruise, boating and rafting members who have attained the Certificate of Excellence honors from TripAdvisor. Steve Mahay, founder of Mahay’s Jet Boat Adventures, is the first and only person to successfully navigate the Talkeetna Canyon. 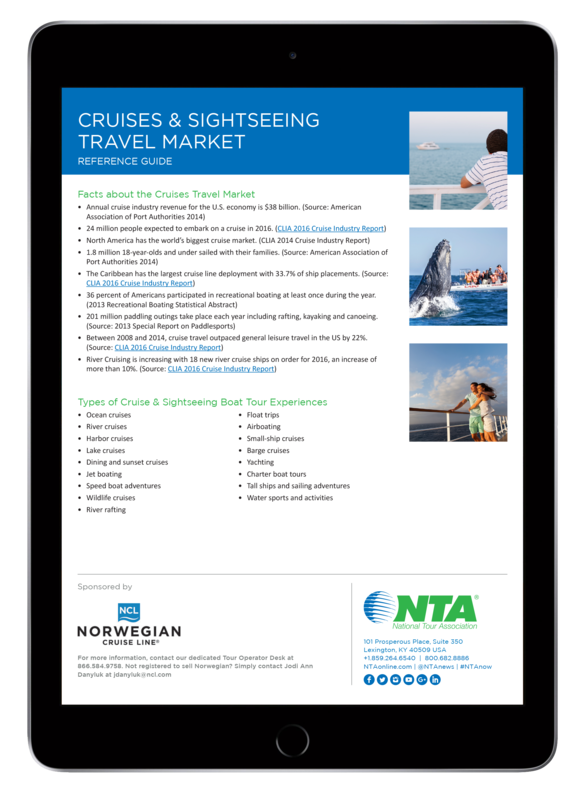 Approximately 50 percent of NTA tour operators offer cruise, boating or water-based experiences on their itineraries. For more information, contact our dedicated Tour Operator Desk at 866.584.9758. Not registered to sell Norwegian? Simply contact Jodi Ann Danyluk at jdanyluk@ncl.com.